I have this ongoing goal to read the Book of Mormon. I usually start with first Nephi unless I'm starting for the 5th time in a month then I mix things up and start in the middle somewhere. I'm terrible. Anyway. A few weeks ago I began the Book of Mormon again. I've got that first chapter down verbatim! But something really jumped off the page at me this particular time. This is a rare occurrence for something that I've read sooo many times. Yawn. Told you, I'm terrible. "I, Nephi, having been born of goodly parents, therefore I was taught somewhat in all the learning of my father; and having seen many afflictions in the course of my days, nevertheless, HAVING BEEN HIGHLY FAVORED OF THE LORD IN ALL MY DAYS; yea, having had a great knowledge of the goodness and the mysteries of God...."
I really felt those two words hard. I was probably right in the middlish of my 4th week of sitting in a recliner on the slowest road ever freaking traveled to supposed recovery from my knee injury that I'd already been suffering with for months at this point. That was the longest sentence ever. DO YOU FEEL ME?? I have been miserable; but I knew it was true. I am highly favored.. and chances are likely if you are reading this, you are too. I have a little story for you that's been on my mind recently. It was a bit of a source of contention in my mawiage that I could not be happy with my circumstances. Christian always tried to be understanding and agreed at this point that we could sell our house and move back to the area where I felt happier. Christian showed up with me lagging behind...dressed in my work uniform and totally unprepared. He was extended a call to be a new counselor in our bishop ric. UH, we are moving! Imagine me wanting to push non verbal cues via my eyeballs!! Tell them we are moving and let's run on the count of 2....and not to mention we were KIDS!!! Two kids scraping by with 2 baby boys to care for. He accepted. Obviously. As he would and should have and because he is just plain good. During this time the construction business my husband worked with began to struggle with the downturn of the economy and money unfortunately became an issue. I will leave out most of the detail other than things did not work out. Over and over they did not work out. We struggled hard for a few years before we lost our home and almost ourselves. We left that place humiliated. And if there ever were a time I wanted to drive us all off the end of cliff, this was it. How could I NOT feel like if we would have sold our home as planned and never accepted a call to serve this all could have been avoided? I absolutely felt that way. It was hard to understand the purpose of our suffering for a really really long time. The night before we moved out I came home from a long shift on a very busy night. I was 7 months pregnant with our third son. I was exhausted. I found an anti depressant I had not taken in a very long time and popped a full pill in my mouth and fell asleep on the couch. Hours later I awoke sick as could be from having taken that pill. We moved into the basement of my parent's home the next day because we literally couldn't afford any type of rent. I lay sick on a mattress on the floor for the entire day while the few belongings we kept were carried into the basement by other people. All these years later the darkness and ugliness of those days still penetrate my soul. It felt and feels so gross. Still. I will never forget. Besides losing everything there were major struggles we faced in addition to all that that I cannot write about. Those were dark and bleak days whose effects we would carry with us for years to come. Why am I telling this story? Cause the short ending of this story is this- Remember how badly I hated where we lived and I never felt at home? Where I would have wanted to live MOST was the neighborhood I grew up in. I thrive on familiarity. Period. This was nothing but a PIPE DREAM. I totally would have settled for somewhere in the area though! Like anywhere in the vecinity would have been such a blessing. We didn't stay in the basement all that long. We eventually moved upstairs and rented the top floor of my parent's home. A few years after that we BOUGHT the home and made it entirely ours. If you ever would have told me that we would own our home in this particular neighborhood only 4 years or so after complete financial destruction I would have simply died from unbelief. Does the Lord answer our prayers and the greatest desires of our hearts in mysterious ways?? Why yes, He absolutely does. I am learning the roads we travel to beautiful destinations are almost ALWAYS riddled with struggle. But they have great purpose. God didn't just land me back in the area my heart desired He put me literally at the exact GPS coordinates! We do not live in the home of our dreams necessarily but our lives and our children have been immeasurably blessed by neighbors who have become our family and friends. It took a few years but I can see His hand in that little story I just told from start to finish. God is good. God provides. 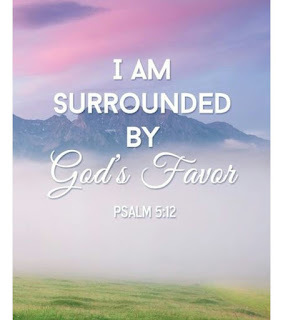 He favors His children; even ones that are seemingly undeserving. Wink wink. The reason for my writing this is firstly for me. I have to believe that there is purpose in my most recent journey of misery on misery😭😝 I hold onto the the hope that one day this trial will end and I will have arrived at something that has long been a desire of my heart. I completely believe in the Lord's timing and that He knows what will get me there; even if it includes months of struggle from an unfortunate accident. Struggle yields growth and so it goes. Second, I have a family member that has just received bad news. I want you to know that everything is going to be just fine. Our Heavenly Father has a way of working out the details of our lives even though we don't know how it can be done. He is in those details. I know that to be true. He has provided for me and my family countless times and He will do the same for you. If we quarry our hearts for our greatest desires and place them before the Lord, He will see to them. If that isn't highly favored, I don't know what is.